Heading south: 5 years after the discovery of the last dwarf planets, the race has finally commenced to scan the southern hemisphere. The 3 competing teams have familiar players. Who is going to win? I have predictions. Guest posts: As an experiment I am conscripting some younger students and postdocs to write about what they do. First up: Amino acids on Titan. Stay tuned. Where is Planet X hiding? Just in time for making your plans for 2012, I’ll critically review what might still be left lurking in the outskirts of the solar system, and I’ll tell you the probability that it will affect us in 2012. Well, OK, you can probably answer that one already. Sedna is 7, and she still makes less sense than Lilah, who is only 5. Why Pluto still matters. Nearly 5 years after no longer being a planet Pluto still actually matters. You never thought you would hear me say that, did you? Nobody wants to go to the moon anymore. So maybe that means I should go to the moon. My staybbatical won’t be entirely in my green chair, though. I will admit to having volunteered to be a chaperone on almost all of Lilah’s kindergarten field trips. I even signed up to help with quilting for 5 year olds (they insisted that all I need to know how to do is tie knots; which I do). But also look out for The Wacky Adventures of a Scientist on a Book Tour. Coming soon, to a city (possibly) near you. It should be a fun six months. I hope your book tour comes to Boston. That would be cool. You've said before that Pluto still matters. It is an amazing world, no matter what we call it. And I think, someday, someone, maybe you, will discover a big world out there in the Kuiper Belt and the definition of planet will be looked at again. I don't know if Pluto or Eris or Sedna will be named planets but I think the debate has not been settled. And in science, I generally think this is a good thing. I can't wait to see what the new season brings! Look for me in Boston in late January! In the spirit of me, too, I hope you'll come near San Jose. "So you think you are strong because you can survive the soft cushions. Well, we shall see. Biggles! Put him in the Comfy Chair!" Enjoy the sabbatical. After the southern hemisphere, dwarf exoplanets? Yay, more posts! Of all the astronomy blogs I read (regularly or occasionally) yours is the one I enjoy most, and I've missed you! DianaF: Yup, San Jose (or at least Mountain View) is on the list. Tentatively late January, though we're still trying to firm up the date! No European capitals included in the book/signing tour (London, Brussels, Paris)? What about the Tyche hypothesis by John MATESE & Daniel WHITMIRE? Let me know when in January you'll be in Bostonia. We'd love to have you over for a home cooked meal while you are on the road. Glad to see you back, I'm looking forward to any new dwarf planet discoveries by the three teams, hope they find some big ones. Any thoughts of naming any more dwarf planets, like 2002 AW 197, 2002 TC302, and 2007 OR10? Boy, am I glad to see this back! One think I'd kind of like to ask about is the mapping project for Haumea & Namaka. How's that going? I never, ever thought Pluto was "unimportant". It's still King of the Kuiper Belt, double planet with 2 more moons, most studied, most talked about. Please don't go to the Moon. We need you here. Why is there hardly any new TNO discovered in 2010? In earlier years multiple TNO's were found every month. In the whole of 2010 only one TNO was added to the lists of the MPC. For St. Louis you should bring Lilah. The City Museum and the Magic House await. Everything is so kid-based here. We'd love to have you stop by and talk to our Scouts, too : ) April is the World LEGO Robotics Championships. I'm helping the Girl Scout Council with their hostessing events...if you think you'd be interesteed in stopping in then. What do you think of someone deciding to become a professional astronomer later in life? My dad got laid off from his corporate job due to outsourcing six months ago. He has decided that at 52 he wants to pursue his lifelong dream of becoming an astronomer but he'll have to start from the beginning as he has no science background. Do you think he's wasting his time? He's determined to do it, certain he made the wrong choice in his 20s when he decided the math was too hard for him. Enjoyed your book! Fascinating and funny. Hope you get a chance to come to Virginia at some point during the book tour. Hello from a writer who took you to coffee a few years back. You may remember I was working on a screenplay about Pluto. I've just read your book and wanted to tell you how much I enjoyed it. And wouldn't you know, I'm inspired to take another look at that script and start a new draft. Thank you! 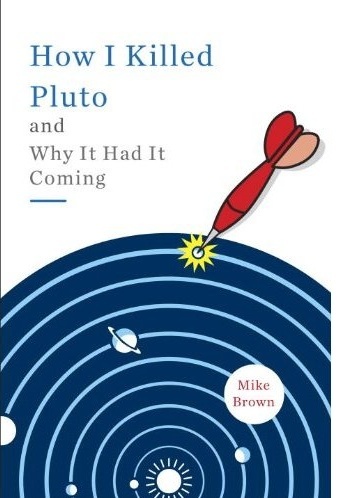 Of course, I'm looking forward to seeing what you might write on why Pluto still matters. We do have a mission in progress, yes? I also checked your appearance schedule to see if you might be coming to the northwest anytime soon; looks like you're in Alaska this weekend. That's a little more northwest than I was thinking... and for a guy who's planning to go south, isn't that the long way 'round? PS Your green chair looks a lot like my green chair.